Lutheran High North will present its 37th Annual Spring Musical on Friday and Saturday nights, April 26 and 27, at 7:00 pm, and also at the two traditional special matinees for grade school students and senior citizens on Thursday, April 25, at 9:00 am and 12:30 pm. 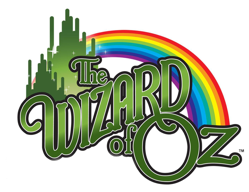 We�re looking for 12-15 talented, excited, hard-working, cooperative, dedicated students in Grades 3-8 to play the parts of Munchkins (in Act 1), and probably Young Ozzians (in Act 2). All students must be able to sing accurately (on pitch), act and move exuberantly on stage, and follow directions. Each will be given one or more solo lines to be sung or spoken loudly. PARENTS will be asked to contribute to the cause by: 1) helping to supervise students at rehearsals and performances; 2) helping to procure and maintain costumes for Munchkins and Young Ozzians; and/or 3) helping to build and paint sets and props. We need parent help. Parents - expect to donate 20 hours of your time during February, March, April. There will be one help session Tuesday, February 5, from 4:00-6:00 pm. Parents meet at 5:30. There will be one audition time on Tuesday, February 12, from 4:00-6:00 pm. (7) Rehearsals will be on TUESDAYS, from 4:00-6:00 pm on February 19 and 26, March 5, 19, and 26, and April 2 and 9. Longer rehearsals (with full cast and crew) will be held on Tuesday, April 16, Wednesday, April 17, and Monday, April 22 (Easter Monday). These three rehearsals will run from 6:00-9:00. Pay $30 ASAP (check payable to LHN) in order to receive your copy of the rehearsal music materials. An additional $20 will probably be needed later to help cover the cost of costumes, cast t-shirt, food and snacks for rehearsals, etc. We will not charge you more than $50 total. More details/links/info are available at www.lutheranhighnorth.net. Watch the YouTube video! Munchkins come onstage at the 25 minute mark in the SALT Theatre video. Contact paul.stuenkel@lhnlions.org for more information or to sign up. Let me know ASAP if you are interested. We�ll audition the first 15 students who sign up. Thanks!